Four Covenanters were shot at Ingliston Mains by Colonel James Douglas in 1685 and subsequently buried here. They were James Bennoch, Robert Edgar, John Gibson and Robert Mitchell. A fifth martyr, Robert Grierson, was buried there. 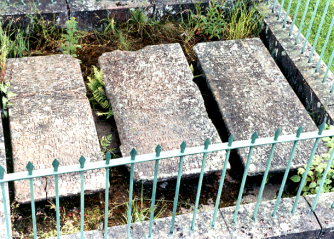 To the east of the parish church a low wall surrounds the three Covenanter gravestones.